Maestro Elts worked with 3 choirs, an international cast of singers and Latvian National Symphony Orchestra to perform Mahler’s Eighth Symphony, also known as the Symphony of the Thousands. "All of my previous symphonies were preludes to this one," Gustav Mahler has himself written of his Eighth. For Elts, this marks his return to the Latvian National Symphony Orchestra of which he served as a Principal Conductor 2001-2006. In addition he was joined by Liene Kinča, Alisa Zinovejva, Kristīne Gailīte, Oļjesa Petrova, Tuija Knihtila, Juhan Tralla, Egils Siliņš, Priit Volmer, the Latvian Radio Choir, the Rīga Dome Cathedral Boys Choir, Latvija State Choir for the grand finale of Riga Festival at the Dzintari hall in Jurmala. 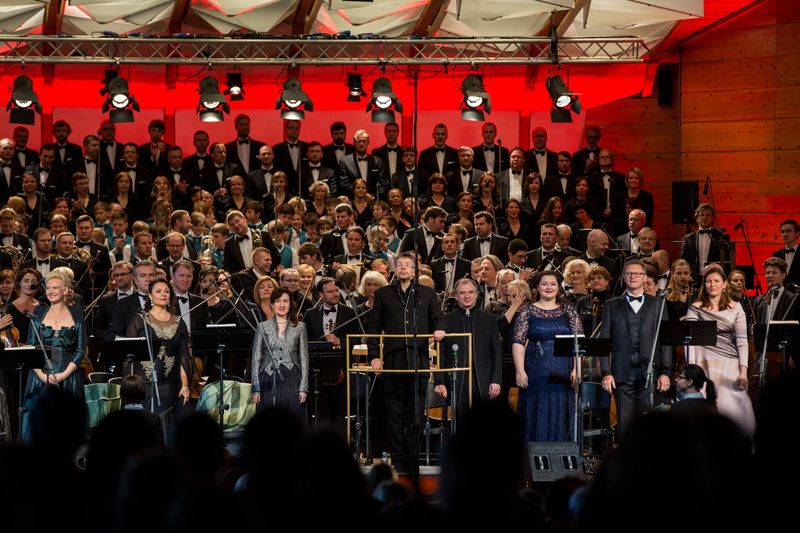 Photo by Latvijas Koncerti. More in the Gallery section!